Project management allows you to invite Any contact (prospect, customer, partner, supplier, etc.) to participate in a project. To invite a contact, you have to create a contact record is Sellsy. To send invites, choose add external contacts. 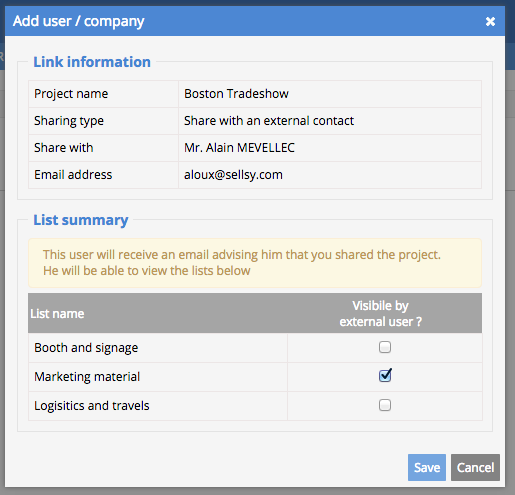 Confirm who will receive an email to access the project in the lists you have made public. At any time, you can check to see if a list is public with the icon on the left side of the column - if the eye is green, the list is shared with external users.